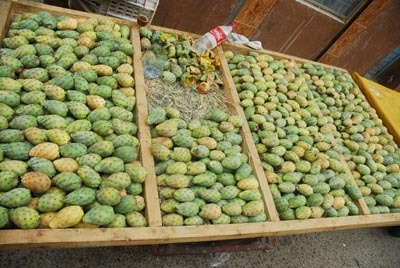 peeling Karmouss for shoppers who eagerly eat the sweet fruit right on the spot. ((Eng. 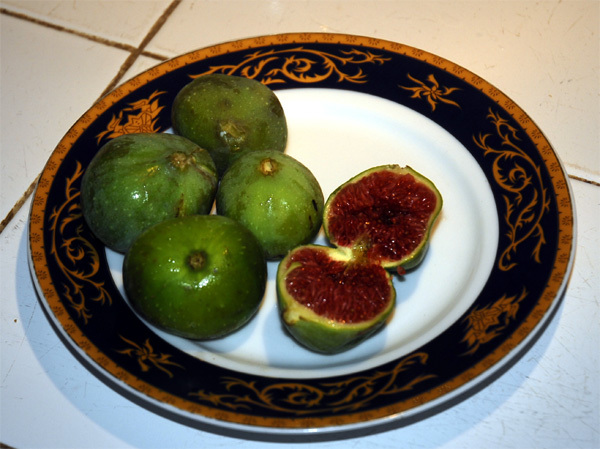 "prickly pears", Indian figs, cactus figs,Les figues de Barbarie) and local moroccan Local names of this fruit are Karmouss nssara, meaning "fig of Christians" or Akrani. 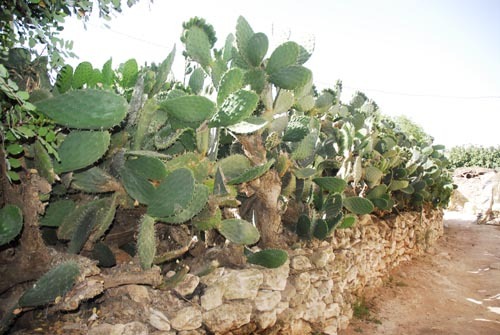 It is a cactus plant (Opuntia) which yield a juicy fruit. 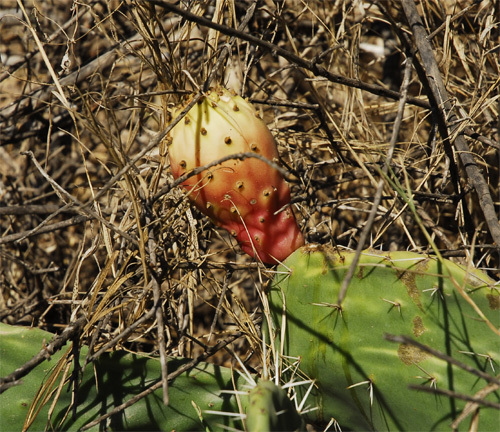 This cactus plant is a remedy for pain. 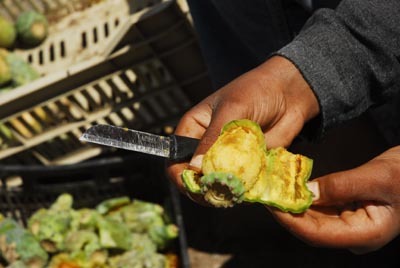 and a juicy, sweet interior flesh (usually pink, but sometimes orange, yellow, red and sometimes green if not ripe). 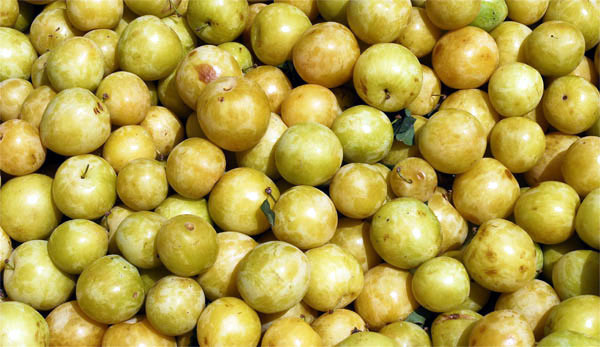 native to tropical Africa.The part eaten is the mature fruit with high nutritional value and rich in Vitamin B1, B2, A, C, biotin and minerals: S, Mg and S. The fruit is used for medicinal purposes (kidneys and urinary tract cleansing). 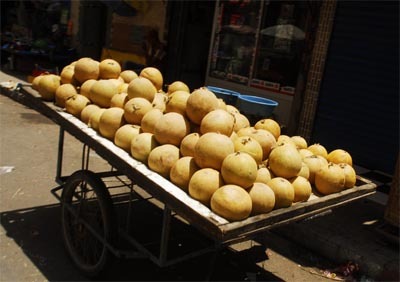 The Melon (Cucumus melo) is an annual, monoecious (male and female flowers on one foot) of the Cucurbitaceae family. The plant is native to southern Asia. 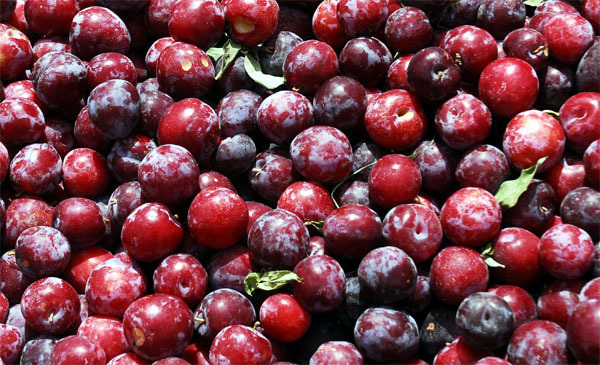 The part eaten is the ripe fruit. The culture is very popular in Morocco. The fruit is rich in Vitamins A and C.
According to the Qur'an, pomegranates grow in the gardens of paradise (55:068) The Qur'an also mentions pomegranates twice (6:99, 6:141) as examples of good things God creates. 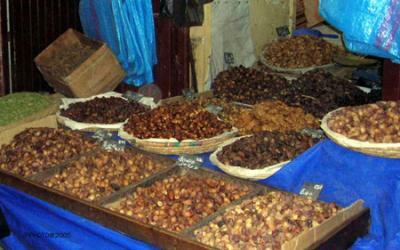 Morocco is a prominent place among the top ten world producers of dates. Domestic production averaged 100,000 tonnes of which 40% is provided by the Tafilalet and as much by the South East. 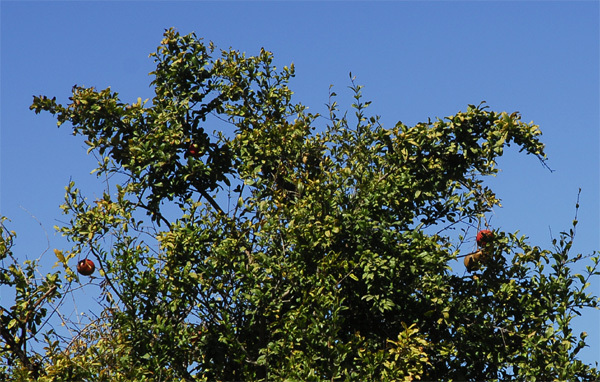 Dates are characterized by their high nutritional value. 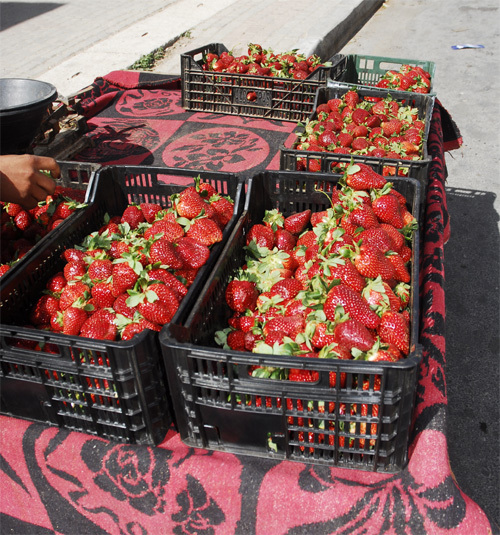 The fruit alleviates the need for vitamins and other substances especially during periods of fasting. Its energy value is 287 kcal per 100 grams. Dates also contain fat, cellulose, minerals, vitamins and enzymes, but they are especially rich sugars (sucrose, glucose and fructose). 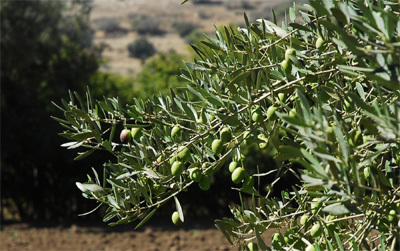 The fresh dates, as when it matures, is a fragile fruit and delicate to transport. The date is more strongly dehydrated dry, it contains about 20% water, against 70% for fresh dates. 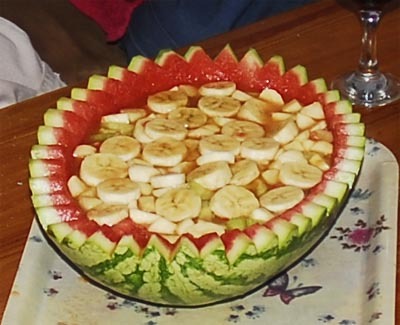 It also contains vitamins B2, B3, B5 and B6 and a small amount of vitamin C, minerals: potassium and calcium. 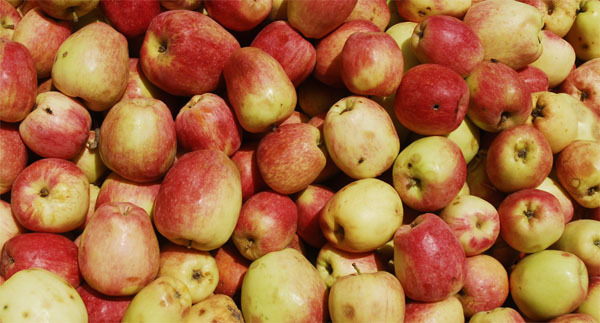 It is also rich in chromium (passing the envy of sugar) and fiber. 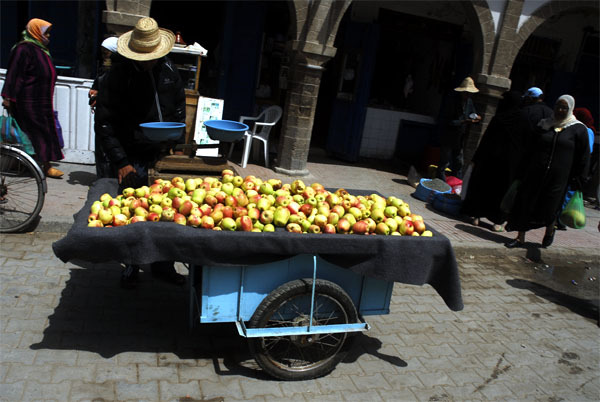 Street vendors in Essaouira. 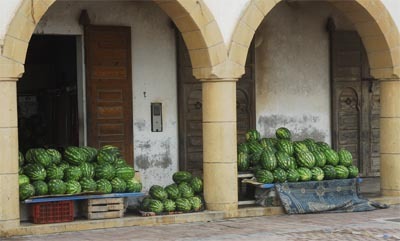 Vegetables and watermelons. 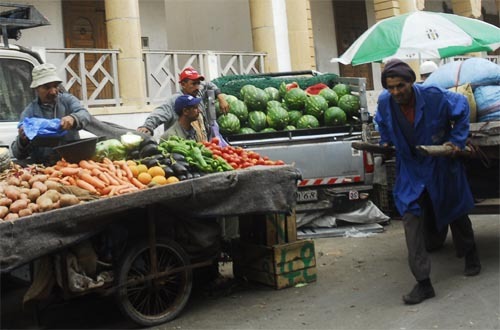 Morocco is a producer of both beet and cane sugar and is also an importer of sugar. 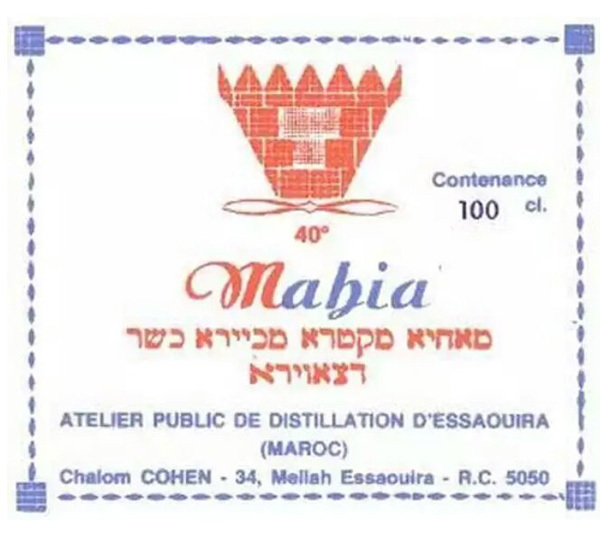 Of the world's 113 sugar producing nations, Morocco is the 31st largest producer. 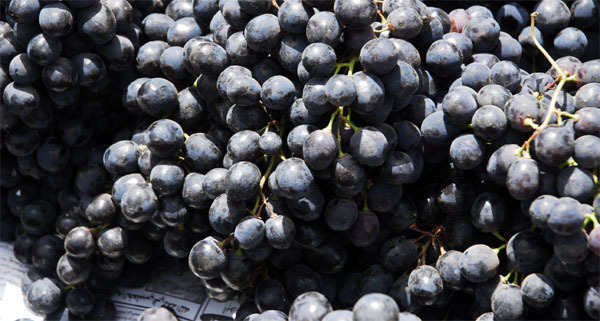 For the period 1999-2001, production averaged 517,667 metric tons. 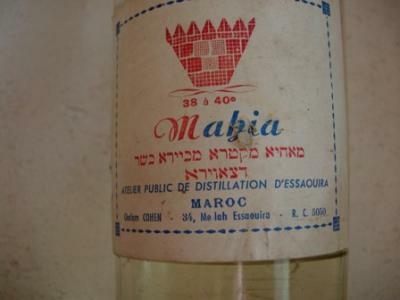 Morocco imported, on average, approximately 54 percent of its domestic consumption needs during the 8-year period 1993–2000. 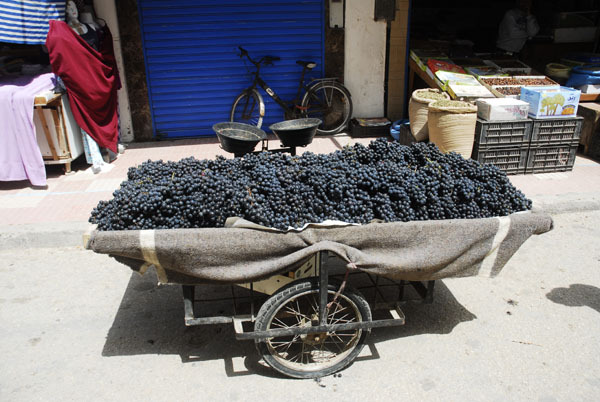 Morocco was the world's 19th largest importer during 1999-2001, averaging 542,333 metric tons. 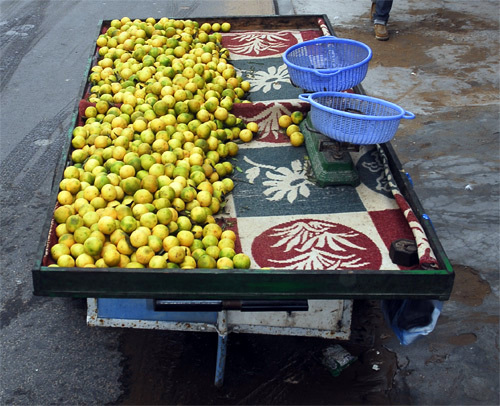 The annual consumption per capita in Morocco is 35 kg. United Arab Emirates or UAE is the largest sugar and sweetener consumer in the world with an annual average per capita consumption of 70.9 kg followed by the USA with 64.3 kg. Read more about alcohol here. but it is common that travellers can be offered to buy or to smoke. A good advice is to be careful not touching any drugs. Read more about hashish here.